I spent so long wondering if I could attach Jeff Goldblum's head to a dinosaur that I never stopped to think if I should. I was watching behind the scenes videos of Jurassic Park the other day and discovered that they had to make a life size animatronic T-Rex which is quite frankly the most awesome thing ever. It's so different from the CGI dinosaur effects in Jurassic World. I suppose thats why it still holds up today. 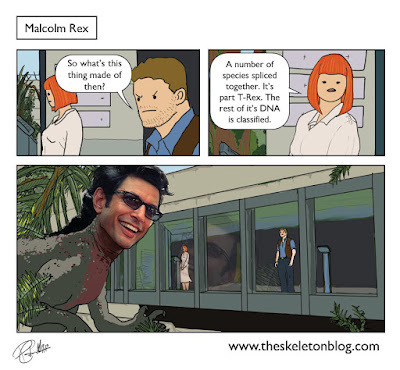 Thankfully Jurassic World is a good movie though. You can read my review here. It's spoiler free.